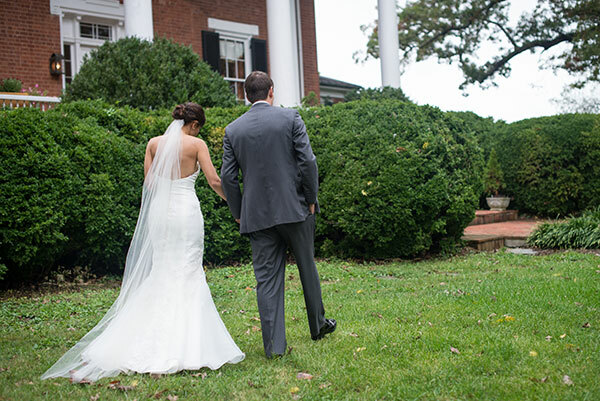 Corey and Emily met while they were classmates at Longwood University. Emily was in the Alpha Delta Pi sorority and Corey was in the Sigma fraternity, and both spent nearly two years as friends before they started dating. Corey moved into Emily's apartment complex when she was a senior. She had him over for dinner one night, and they gradually began spending a lot of time together at the complex' pool. Soon after, Corey and Emily started dating officially. 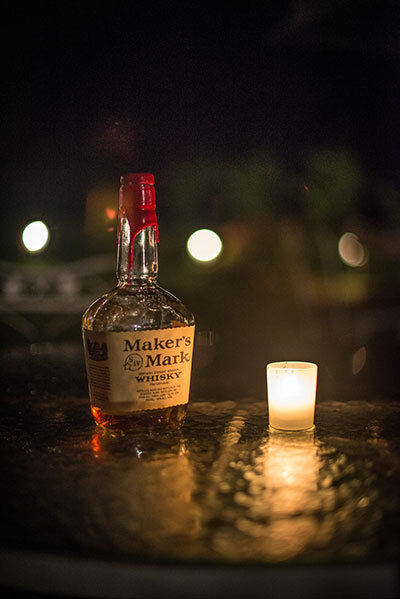 Corey staged a casual proposal at the couple's apartment in Roanoke. As Emily was getting ready for a night-out downtown, Corey turned on their song: Fly Me to the Moon by Frank Sinatra. Nervously, Corey got down on one knee and said to Emily "you're the only one for me!" Though shocked at first, Emily happily said yes. Emily and Corey had a rustic themed ceremony at the beautiful Santillane. Their wedding colors--bold royal blue and soft cream and gold--complemented the lovely fall scenery. Elegant centerpieces consisting of colorful glass vases filled with spray roses, cream-colored lanterns, and tea candles made the reception pop, and the buttercream wedding cake adorned with blue pearls proved beautiful and delicious. For guests who didn't want cake, Emily and Corey included a cupcake tower stacked with chocolate raspberry and vanilla marble cupcakes with buttercream frosting. As an added treats, Corey and Emily gave out bags filled with s'mores ingredients as favors: a thoughtful and sweet touch. One of the most special aspects of the ceremony for Emily was listening to Corey's handwritten vows, which he recited with tears in his eyes. 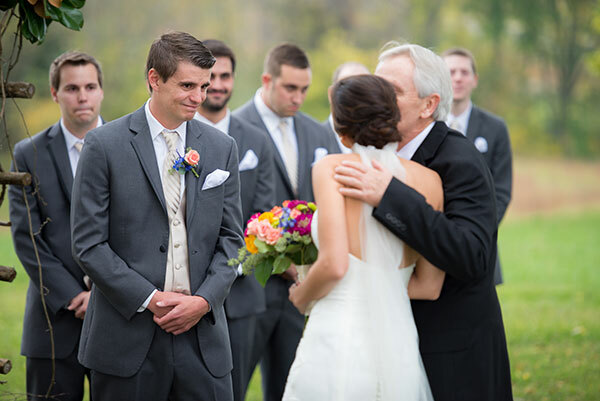 The end of the wedding was also very emotional for the couple: Though it had been cloudy for most of the day, the sun finally came out during the reception, and both Emily and Corey were moved to tears. For their honeymoon, Emily and Corey spent time relaxing at the Colonial Punta Canta Resort, an all-inclusive resort in the Dominican Republic. 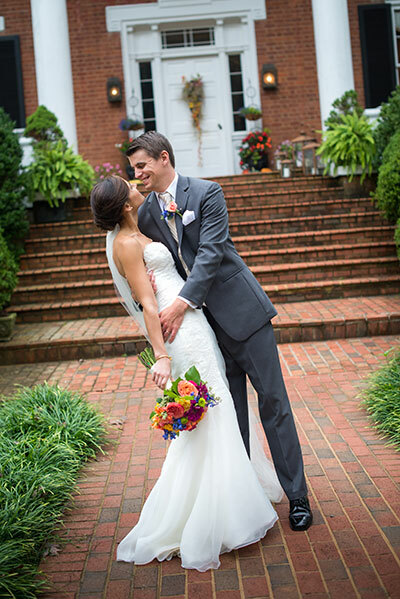 Be sure to see the Beiswanger wedding on page 102 of the third issue of bridebook!